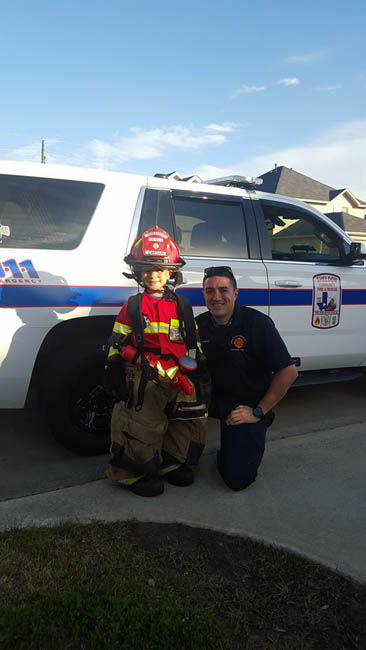 Firefighter Jose Munoz made the day of a lonely 6-year-old Saturday. 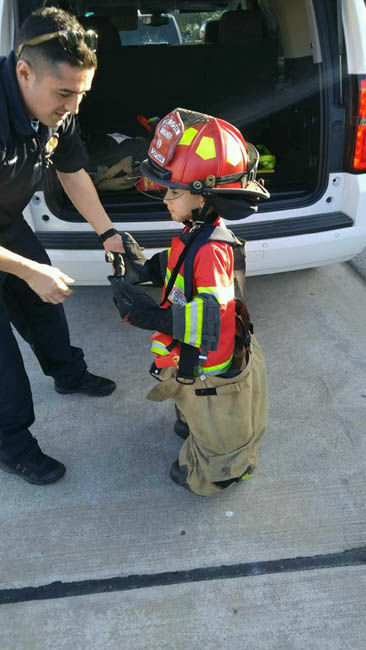 HOUSTON (KTRK) -- A bad day for a northwest Harris County boy turned into a lesson in firefighting for several neighborhood kids. 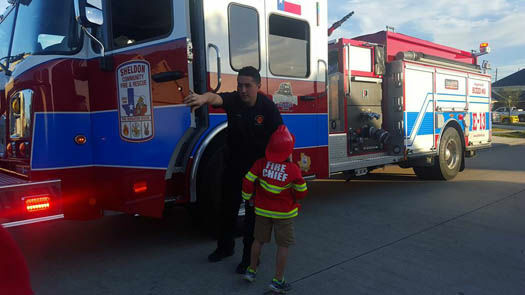 Anna Medina says it started when her 6-year-old son, Cobie, was at home dressed up in his fire chief costume Saturday, upset that he had no one to play with. He decided to go outside for a walk. 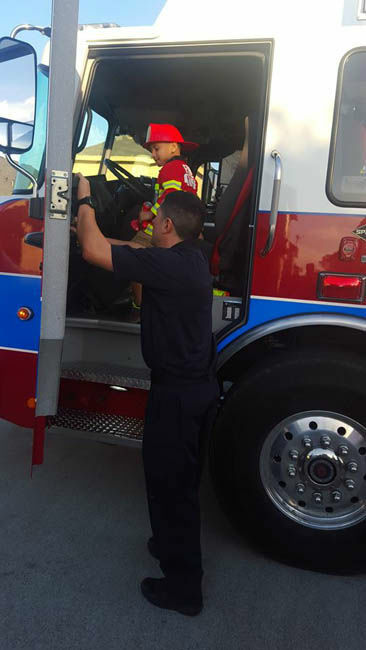 Jose Munoz with the Sheldon Fire Department happened to be driving by and noticed that Cobie appeared dejected. 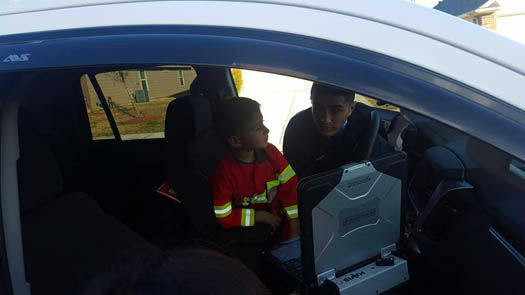 Munoz, who was in a Sheldon Fire Department SUV, pulled over and talked to Cobie. 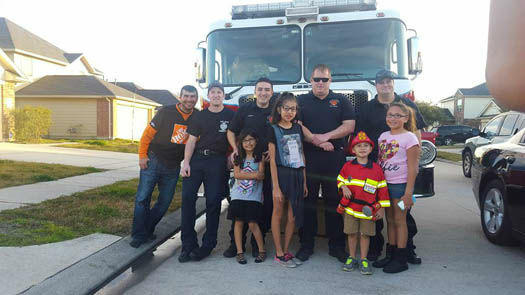 The two became fast friends, and Munoz let Cobie operate the sirens in the fire vehicle. 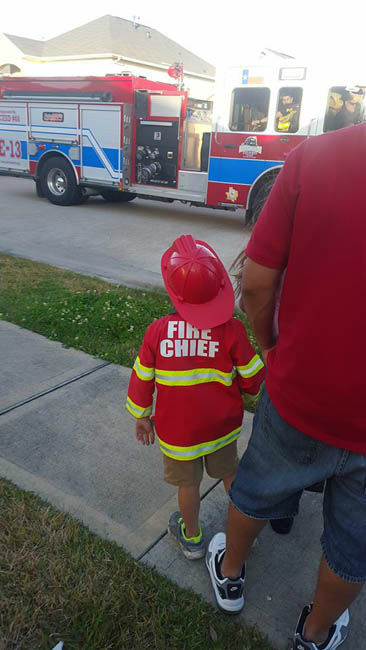 He also let the boy wear an actual firefighter uniform. 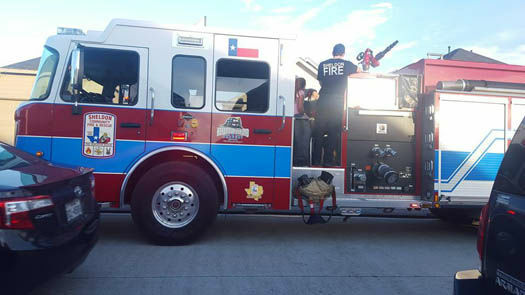 Shortly after, Munoz got an actual firetruck to come by. 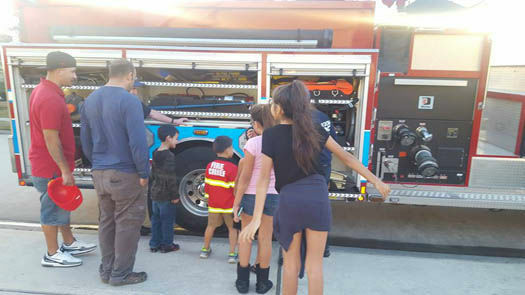 When other kids in the neighborhood noticed, they all came out and got a lesson in firefighting. "These people of the community will never know the impact they had on my son and me today," said Medina in a message to abc13. 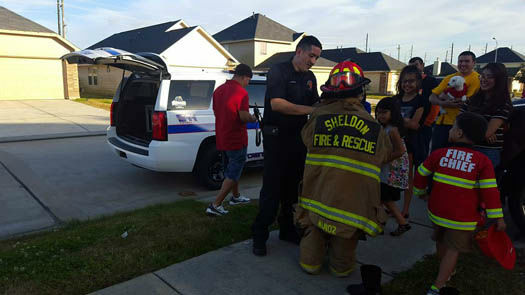 A job well done to all the Sheldon firefighters!